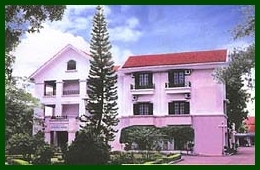 The Halong 1 Hotel is located on a small hill, facing Halong Bay. This French architecture style hotel is just 2 minutes walk from the sea and 5 minutes drive from Halong Ferry Station. 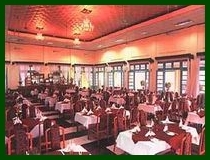 Halong 1 hotel was built in 1935 and has been listed in The Tourist International Directory for a long time. It is often the accommodation for state leaders as well as important delegations. The hotel offersn 23 comfortable guestrooms. Each room is equipped with all of the amenities and comfort to make your stay as pleasurable as possible. Whether you are visiting for business or pleasure, the hotel sure you will find accomodations more than satisfying. This room is famous for its French Colonial decoration and architecture and has been the accommodation of state leaders and well known artists such as Catherine Deneuve.Bathrooms have a bathtub with an overhead shower. Extra beds are unavailable. 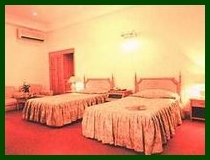 22 rooms including 2 room categories: Sea View and Garden View. All the rooms are beautiful and elegant with French style decoration. Bathrooms have a bathtub with an overhead shower. Extra beds are unavailable.